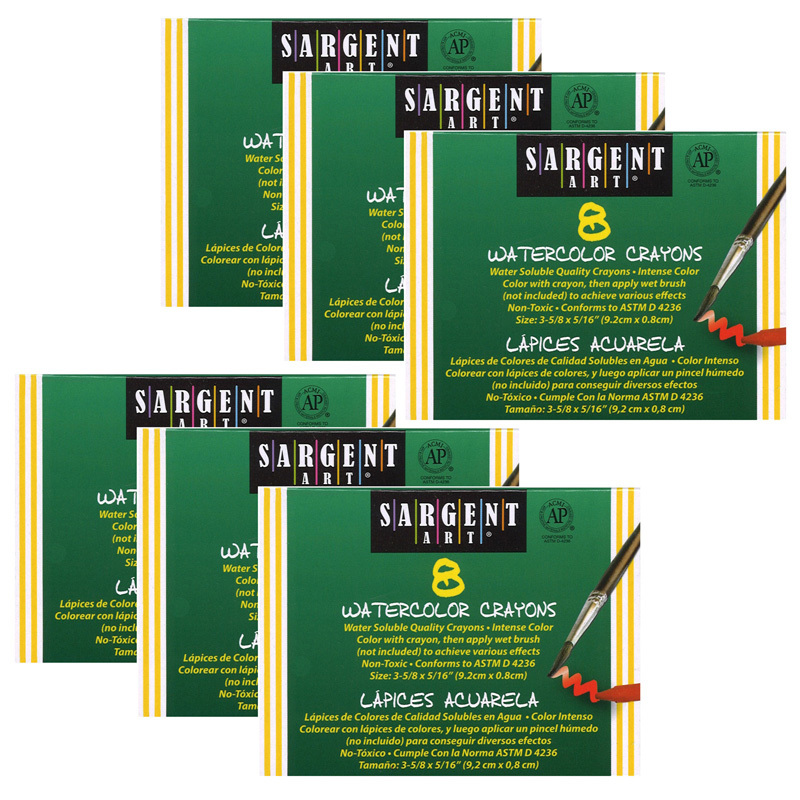 Large wax crayons deliver long-lasting durable performance. Brighter vibrant colors expanding the color wheel. Easy for little hands to hold so they can enjoy drawing at a younger age. Non-toxic, AP Seal. 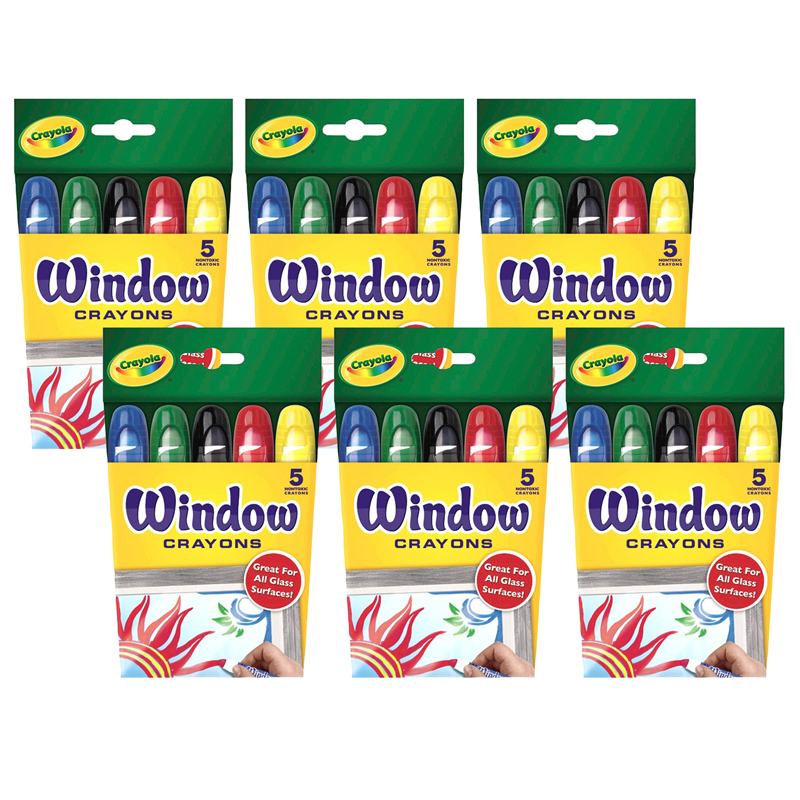 Each pack includes 8 large crayons in assorted colors packaged in a peggable tuck box. Sold a 6 boxes for a total of 48 crayons. 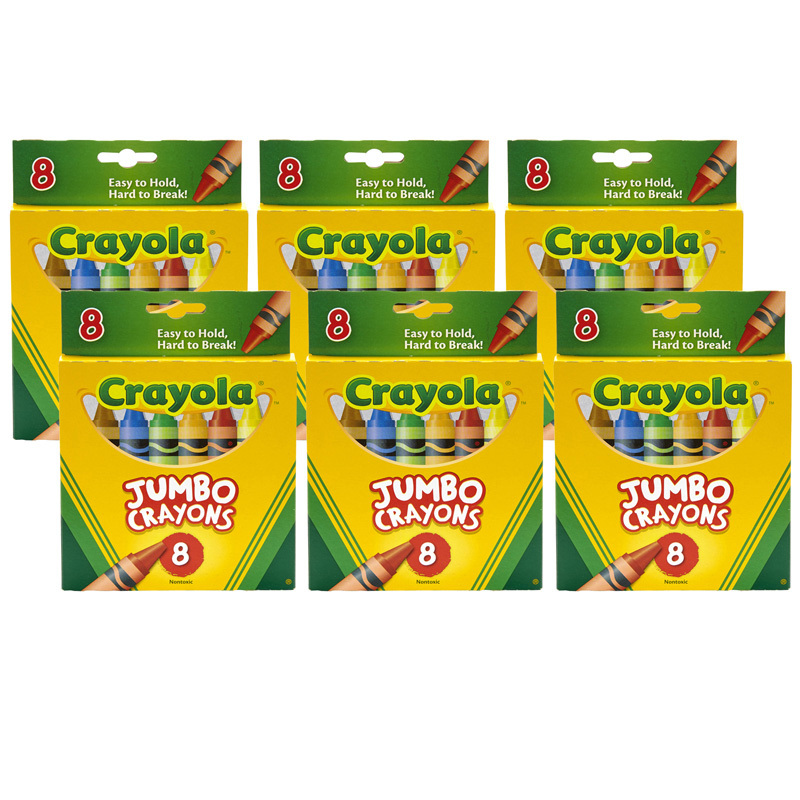 The (6 Bx) Crayons Jumbo 8ct Per Boxpeggable Tuck can be found in our Crayons product category within the Arts & Crafts.